After winning the high definition format war, Blu-ray has become the mainstream physical media for people to enjoy a movie at home. Thanks to its bigger capacity and more advanced technology, it gives us clearer video image and better audio quality. When trying to watch a movie on computer, Blu-ray might not be people’s first choice as streaming service is actually more convenient and the differences between the two forms of media are not that noticeable. But some people might still want to stick to Blu-ray for the better video and audio quality. In situations like this, a digital copy of the Blu-ray disc would make things much easier. You won’t have to go through your collection on your shelf to look for the movie. You will just need to open the digital copy on your computer and start enjoying the movie. If you can create a digital copy of your Blu-ray collection that’s just as good as the original Blu-ray disc, then there’s no need for streaming service. A lot of readers might not know but it’s actually possible to make a digital copy of a Blu-ray disc with no compression, which means no quality loss. The trick is to use the MKV container. There are programs that can rip Blu-ray to MKV with no quality loss. It’s basically like having all the data in the original disc transferred and packed inside an MKV container which is playable on PC directly without needing the original disc. 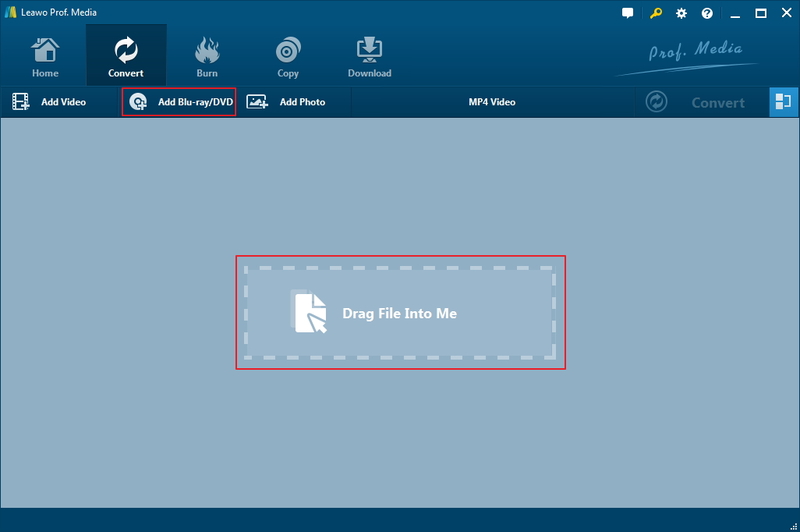 Learn more about ripping Blu-ray to MKV losslessly and how to do that in the content below. In the process of ripping, compression is often used to make files smaller. There are two types of media file that we can get from compression, lossy type of media file and lossless type of media file. By compressed, we get a smaller size of file that free some hard drive space, and the smaller-size file is preferred by social network. Ripping makes larger-size files more portable and acceptable. However, there will be some data thrown out during the process of ripping and compression, and on most occasions, lossy files are created rather than lossless files. In order to get smaller-size yet lossless file by ripping, it is necessary for us to figure out what files are lossless. In terms of image files, RAM, BMP, and PNG are all lossless while JPEG and GIF are lossy. In terms of audio files, WAV, FLAC, and ALAC (Apple Lossless Audio Codec, used by iTunes) are all lossless while MP3, and OGG are lossy. As for video formats, as lossless video formats take up a huge amount of space, people seldom choose lossless video formats as output formats. However, in order to rip Blu-ray lossless, we can choose MKV as the output format. As most people’s favourite video container format, MKV contain many audio tracks, video and subtitle streams in a single file. 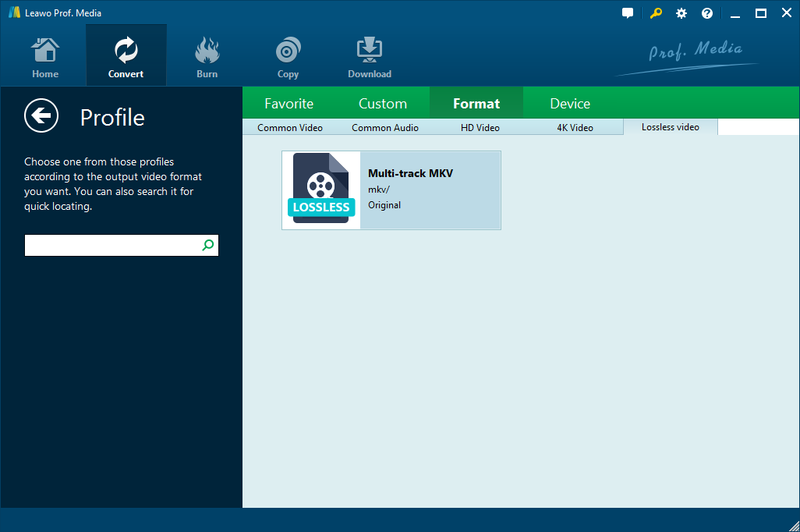 As MKV format help do lossless backup whatever kind of disc like CD, DVD and Blu-ray Discs, many people prefer MKV format as the output format when they would like to rip Blu-ray lossless. To rip Blu-ray to MKV losslessly, a high quality Blu-ray ripping program is necessary. Below I will show you two of the best Blu-ray ripper programs you can use to rip Blu-ray to MKV with no quality loss. The first Blu-ray ripper program I’m introducing to you is called Leawo Blu-ray Ripper. Developed by Leawo Software, Leawo Blu-ray to MKV Converter is a professional Blu-ray converting application which can help you rip Blu-ray to MKV lossless. 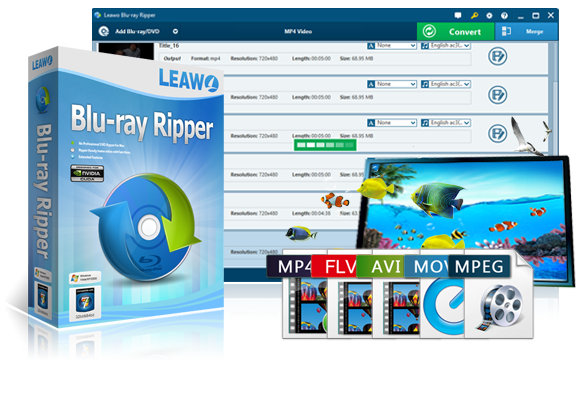 Like many other Leawo Software’s products, Leawo Blu-ray to MKV Converter also has two version Leawo Blu-ray to MKV Converter Windows version and Mac version. With advanced transcoding technology and preset MKV output format, Leawo Blu-ray to MKV Converter is able to rip Blu-ray to MKV lossless at fast speed. In addition to ripping Blu-ray to MKV lossless, Leawo Blu-ray Ripper can also rip Blu-ray to MP4, MOV, AVI, FLV, VOB, MP3, AAC, etc. And it also provide Windows and Mac version. The second Blu-ray ripping program I’d like to introduce to you is MakeMKV. As you can tell from its name, it makes MKV videos. And they are no ordinary MKV videos, they are lossless. The program is capable of ripping Blu-ray/DVDs to lossless MKV. You can keep all the original data from the disc like the audio tracks and subtitles in it with no problem. And MakeMKV won’t compress the data. It will keep all the original data intact. So you will get a MKV video that’s just as good as the original movie. But note that the MKV video will also be very big, which is a common problem for lossless MKV videos. You want better quality and you will have to make more room for it. First I’m going to show you how to use Leawo Blu-ray Ripper to rip Blu-ray to MKV with no quality loss. Leawo’s been integrating and optimizing its product line and the Leawo Blu-ray Ripper was integrated into a bigger software package called Prof.Media a few years ago. Check out how to rip Blu-ray to MKV losslessly with Leawo Blu-ray Ripper in the instructions below. Step 1. In order to open Leawo Blu-ray Ripper, start Leawo Prof.Media first as mentioned previously. Find the Blu-ray Ripper button on the top row of icons and click on it to load the Blu-ray Ripper module. Step 2. If the disc’s been place in your disc drive and is ready for ripping, then click the Add Blu-ray/DVD button and choose the Add from CD-Rom option on the following drop-down menu. You should then see the Blu-ray disc name. Click on it and the program will start to have the original Blu-ray data imported to it. Step 3. Typically a commercial Blu-ray movie disc contains multiple videos and the program gives you the option to select the videos you need other than directly having all the videos ripped at the same time. You will see a list of all the videos in the disc on the right side of the following interface and 3 buttons above the list. Use the 3 buttons to have different videos selected. Here’s what the 3 buttons are for: Full Movie helps you select all the videos, Main Movie helps you pick out the main movie from the list and Custom Mode gives you the right to manually select the videos you need from the list. Use the right button to get the needed videos selected and click OK to move forward. Step 4. The program will then present to you a list of all the videos you just chose from the last step. Note that Leawo Blu-ray Ripper can also convert Blu-ray to MP4 and other formats other than lossless MKV. So you are required to set the lossless MKV format as default in the settings. There’s a dedicated button that shows the current output format. It’s on top of the video list and by default shows the MP4 Video label. Click on it and continue to select Change to open a panel called Profile. Continue to go to Format>Lossless Video and you will see a profile with the name Multi-track MKV. It’s the lossless MKV profile we are looking for. So just click on it to make it selected. You will also be sent back to the video list as soon as you click on the MKV profile. After setting the lossless MKV profile as the default output format, you get to select as many audio tracks and subtitles as you want. On each video file there’s a Subtitle and an Audio button. Click on them to display a drop-down menu that contains all the audio tracks and subtitles. You can check multiple or even all the audio tracks and subtitles. Step 5. After going through the above 4 steps, you are probably ready for the final step to start. Just click the Convert button above the video list and the program will show you a new sidebar from the right. On the sidebar you can see the default output path on the top which you can reset by clicking the … button next to it. And then there’s no more settings left and you can start to rip Blu-ray to MKV by clicking the Convert button that sits at the bottom of the sidebar. If you haven’t got yourself a Blu-ray drive for playback and Blu-ray ripping, here’s what Blu-ray drives you can get. 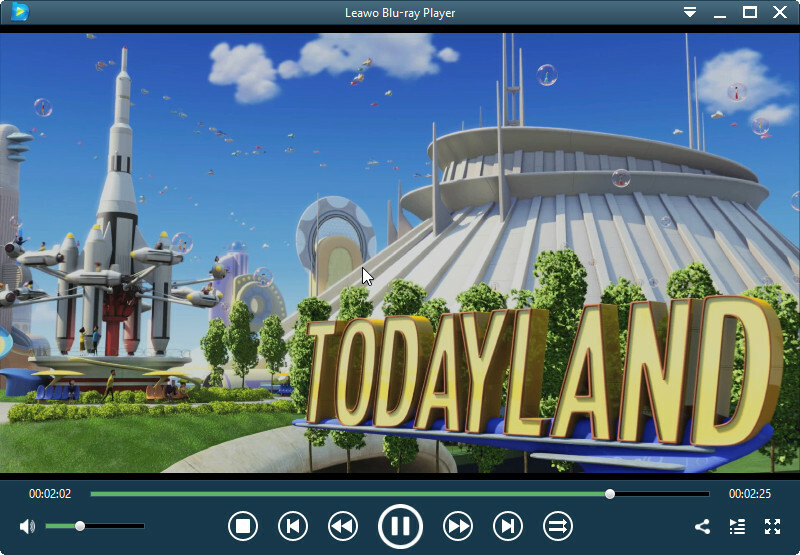 If you prefer to directly watch the Blu-ray disc on your computer, make sure you have a suitable piece of Blu-ray player software because if you are using Windows 8 or above, the built-in media player’s not able to play Blu-rays. So a third-party Blu-ray player program is required on Windows 8/8.1/10. You can find some pay Blu-ray player apps but it’s not easy to find a free one. 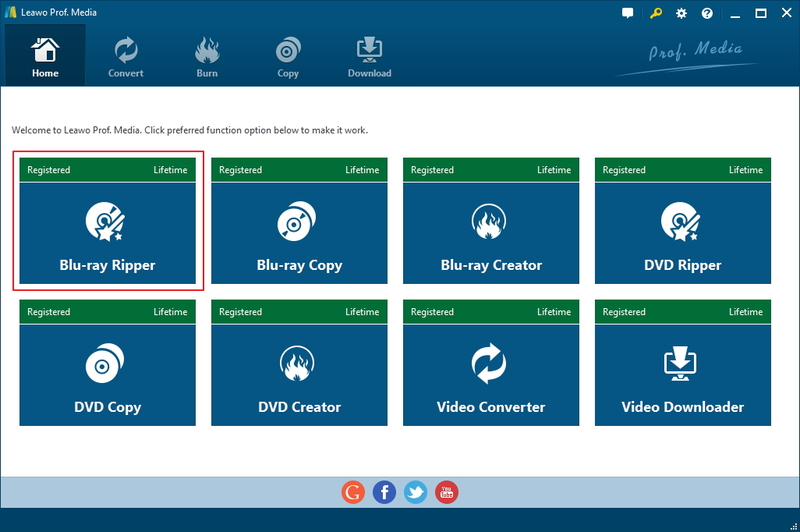 So here I would like to introduce to you two nice free Blu-ray player program for you to directly play Blu-ray movie on your computer. Leawo Blu-ray player is a video player that comes from the same company as the Leawo Blu-ray Ripper we used above. And unlike Leawo Blu-ray Ripper, Leawo Blu-ray Player is completely free. Since Microsoft had stop featuring free Blu-ray player program in its operating system and a lot of software manufacturers have follow its footstep and start to offer pay Blu-ray player programs, it’s hard to find a free and high quality Blu-ray player these days. And Leawo Blu-ray player has all you need for playing Blu-ray discs. It can play basically all the commercial Blu-ray discs, even those with disc protection. And it also supports common videos and audio files so you can also use it to play the lossless MKV video you get from the Blu-ray disc. Also it’s very compact and doesn’t consume your CPU’s processing power when running. Tests from certain websites have shown that it will only use 4% of your CPU’s processing power when playing Blu-ray discs. 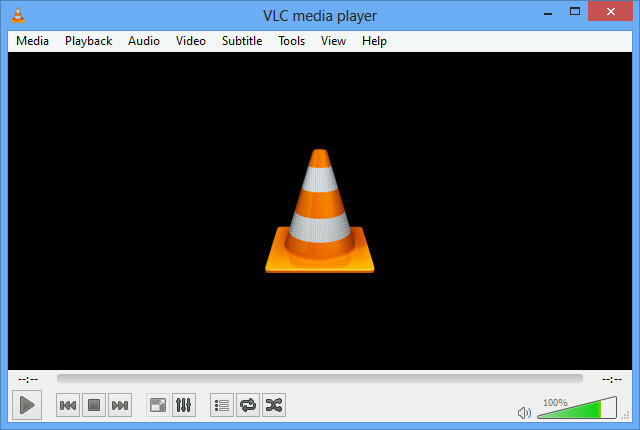 If you’ve been out search for a Blu-ray player program or a video player, you must have come across VLC. It’s mostly known to people as a free open-source media player. The program doesn’t support playback of commercial Blu-ray discs when you first install it on your computer due to licensing issues but there are ways to get around it and enable the program to play Blu-ray. If you want to keep things as simple as possible, just go with Leawo Blu-ray Player. It should be able to get the job done nicely.